How quickly our One Layer challenges seem to come around ! but we do need to see some obvious connection to the title! although there are more cards on the personal blogs of the DT. Here I used a stamp from the rubber Stamp Gallery. This sea bird is actually on a stand but I chose to have him standing in the water. 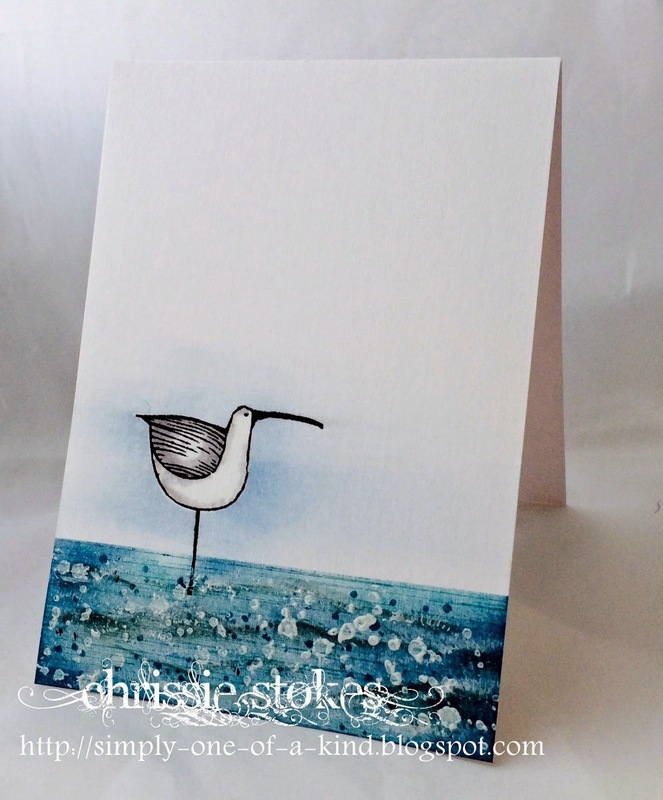 stamping and inking and painting the sea. ...I just had fun and stopped when I thought it was enough! The bird was gently shaded with Mirage pens. Nautical Treasures set by Uniko Studio. distress inked in Spiced Marmalade & Scattered Straw. The 'ocean' is inked in Tumbled Glass, Salty Ocean and Faded Jeans. are Mowed Lawn and Broken China Distress Inks. in a completely different direction and used this bathtime digi! to the bubbles (there's a close up piccie on my blog). and it fitted perfectly under the bath! We're looking forward to visiting you! 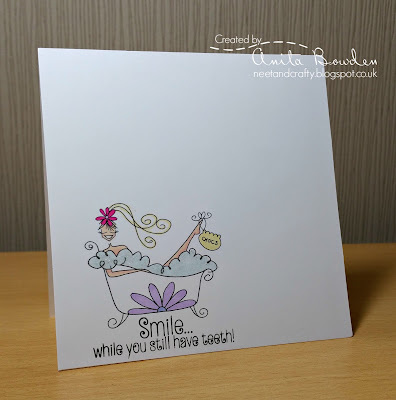 Hi DT ladies, i sure enjoyed looking at your inspiration cards. I can't wait to start making my own. All of your cards are wonderful, thanks for another fun challenge. Neets!! Another Lola?! We love that sentiment - my husband is a dental technician = he makes teeth!! Sure hope I have the chance to play along this week! beautiful cards, love the first one!!! Oh my i had so much fun making this card. Thx for this great challenge ladies. 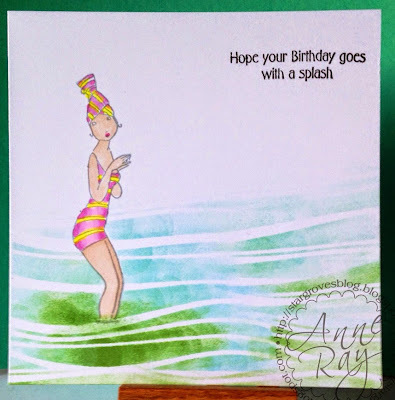 Beautiful cards from the DT-I really had to think about the theme this week as when i rummaged through my stamps i could find nothing water themed!! Tricky one for me too. Great DT cards!